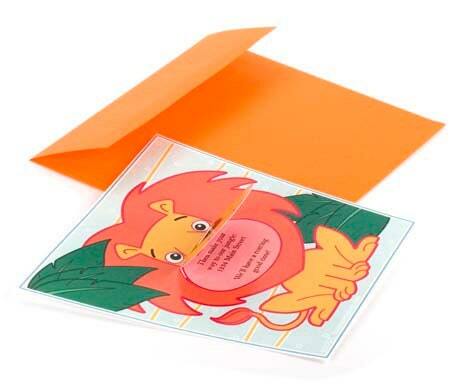 Get ready for a roaring good time with this party invitation! Dare to open the lion’s mouth and reveal the celebration details. Matching thank you card includes space for a party photo, too. Perfect for safari parties, trips to the zoo and more!